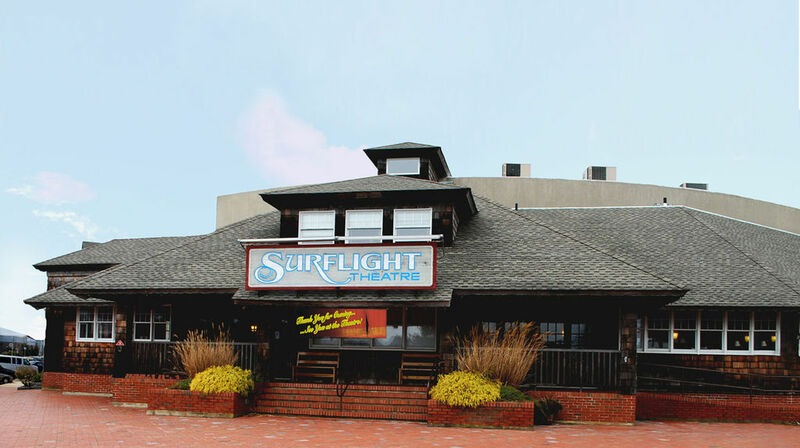 Sorry to hear that Surflight Theater is once again battling to stay alive, according to a report today in the Atlantic City Press. A 2012 fire and Hurricane Sandy both required theater operators to spend money on repairs that were not fully covered by insurance and FEMA reimbursements, operators said. In addition, attendance declined following Sandy, further putting the theater in financial trouble. Founded in 1950 first in a tent, then a garage and now a 450-seat theater (above) in Beach Haven, it specializes in musicals for families summering on Long Beach Island. It also operates the Surflight-To-Go Touring Educational Theatre and The Show Place Ice Cream Parlour with singing servers. I had had high hopes for the troubled venue when Broadway producer Roy Miller, a former Surflight intern who grew up in New Jersey and a former Paper Mill Playhouse associate producer, was there for a couple of seasons (2010-2012). Roy was so enthusiastic and obviously knows how to produce successful shows (“The Drowsy Chaperone,” “West Side Story,” “Ragtime,” “The Pee-wee Herman Show,” “A Christmas Story: The Musical”). He also extended Surflight’s season through the Christmas holidays, brought in comics and popular singers. The article also says former Artistic Director Steve Steiner, who served for 12 years before being fired in 2010, said he’s been in touch with the theater’s Board of Directors and has put together a plan to save the theater. Let’s hope he has a plan that works because it will be a shame if one of the few places left in Ocean County, let alone along the entire Jersey Shore, that offers musical theater for wannabe young actors as well as families should disappear. To read Steven V. Cronin’s complete story, click here.